Big Finish's enjoyable series of adventures following the original TARDIS team as played by the cast of An Adventure in Time and Space continues for a third boxset, one which also sees a major guest appearance of Carole Ann Ford, the original Susan Foreman, whose younger self is played by Claudia Grant in these sets. And Ford is the major draw of this set in more ways than one, as it is the story involving her that is vastly more entertaining then the first story featured here. The first story in this one is The Phoenicians, which is a pure historical that plays on legends and myths, and explores their true origins. As classic pure historical stories go, this story features no sci-fi element beyond our heroes travelling to the past via the TARDIS. I am not a huge fan of many of these historcials, which pretty much fell out of style for the series not long after the Second Doctor took over. They only made one last attempt at a return in the early 80s, when the Fifth Doctor had a brief mystery to solve in the 1920s, with no alien threat whatsoever. But despite my own feelings that the historicals tend not to be terribly interesting, it doesn't mean I don't think they can't work. In fact I secretly hope they can return to the show someday. Not all the time, but I think it would be great to see a story where the adventure our heroes get embroiled in has nothing to do with aliens or monsters, but just the scariness of our own past. They nearly did it in this most recent season, though there was an alien presence, it was incidental to the more historical turmoil our heroes got caught up in. Someday, maybe once, Earth's ugly past can be enough for a Doctor Who threat again. That all said, this story is about as middle of the road and bland as so many historicals of the past had been. I just couldn't get into it, no matter how charming and likable I find the new versions of the original TARDIS crew. Luckily, the other story in the set, Tick-Tock World, is top notch entertainment. 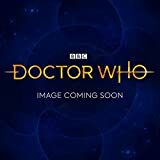 With the TARDIS caught up in a planet that messes with time ships, which leaves the gang stranded in a place where time moves in mysterious ways, and ghosts of the past and future can appear and screw with them. This is where Ford comes into play, as a mysterious figure that they all see. I doubt I am spoiling it for anyone as to who Ford turns out to be. If you don't know that from the word go then I don't know how you ended up listening to a story based entirely on the show as it was in 1963. I just found this to be a really engaging story, and it felt like the kind of story that could have fit in really well with Big Finish's ongoing Time War tales, yet with that 60s flair that they capture so well with this cast. David Bradley is really a top notch replacement for William Hartnell. He doesn't sound anything like him really, but the way he pauses and hems and haws, and stutters through his lines, it is truly like he captured the essence of the First Doctor. Hartnell did most of it due to aging, ailing health, a giant year round workload with little to no rehearsal time...but that is part of what I find charming about the First Doctor. Bradley captures it so well, but does it in his own way. I definitely prefer this way of creating new 60s style Who to someone just doing an impression. I find this set to be somewhat harder to recommend, at least at full price. The first story is by no means awful, but it isn't really worth much either. The second story is tremendous though, which is what makes up for the whole set. I'd say it was worth it just for that, but maybe at a sale price. If Big Finish set has 4 stories and only one is kind of a clunker, I usually can justify the price. But with only 2 stories, the cost is essentially $10 a story, and I don't think The Phoenicians is worth $10. Is Tick-Tock World? Absolutely. And that's from a guy who was never much of a fan of Susan or Carole An Ford's performance in the 60s shows. If you've enjoyed these First Doctor set so far? It is a safer bet for you, for newcomers, I think start with the earlier sets and see if you want to spend the extra money on half of a good boxset. "Time is relative - the day is wherever we land - and if we are onboard the TARDIS - there are no days!" Paul Phipps brings us the latest Short Trips entry, which is a leisurely character piece, with Barbara Wright front and centre. We join the original TARDIS team quite early in their adventures. Barbara is starting to miss the normality of home. There is nothing in the TARDIS to indicate what time of day it is, or even what day of the week. The Doctor's new experiment is becoming something of an obsession to hi. He is looking for a plant, and seemingly finds it when him and Ian are captured by a local tribe on an alien planet. Carole Ann Ford narrates the story with passion, characterising the different characters very well. It actually made me feel rather sentimental for hearing more from this era of the Doctor Who, and with that sentimentality, rather sad also. Carole Ann Ford is seventy-eight years old now (something that I would never guess from her voice, which obviously sounds different from when she was on the show, but still quite youthful). These readings and dramatisations need to be cherished as only a handful of the original actors are still working. A Small Semblance Of Home is about the simple comforts of home, and is a rather enjoyable little piece of story telling that would have fitted perfectly in the very first series of Doctor Who. A Small Semblance Of Home is available here. David Bradley, Claudia Grant, Jemma Powell, and Jamie Glover return to Big Finish for the second round of adventures in the iconic roles of the First Doctor and his original TARDIS team. Once again the cast proves to be quite fun in the roles, not mimicking but having their own takes on the characters. While I don't particularly care for Claudia Grant's Susan, I admittedly never really cared for the character of Susan in its original incarnation...so That could just be that the character will never work for me. The set features two stories, the first The Invention of Death has the TARDIS land on a planet full of immortal beings, who somehow become infected by the mortal crew of the TARDIS and begin to die. I like that it has some deeper themes about mortality and what drives people to create and invent and grow, it isn't just weird aliens and a bit of a mystery. The set continues with The Barbarians and the Samurai, which is a classic First Doctor styled Pure Historical, taking place in feudal Japan and has the Doctor and crew try to foil the plans of a Japanese leader who is plotting a coup against the current Shogun. I liked this story, and though I was never a huge fan of the Pure Historical stories of yesteryear, I find it a bit refreshing to have a story that isn't about some alien hanging around a famous historical figure. It is a good change of pace. I enjoy these boxsets, the recasting seems like it could be a huge mistake, but I think it manages to bring a new energy to these early Doctor Who-style adventures that having the older, and sadly more depleted, casts could currently have. Bradley is lovely as the Doctor, and his supporting cast does a fine job as well. Read By: Peter Purves (Steven), Anneke Wills (Polly), Geoffrey Beevers (The Master), Matthew Waterhouse (Adric) and Nicola Bryant (Peri). Wow. Now, this is an odd one. Released by BBC audio in time for December 2017, The Doctor Who Audio Annual is a collection of narrated stories from the World Distributors Annuals. Now I think it’s worth stating up front that I have very little nostalgia for these annuals, born in the mid 90’s, I missed them upon their original release. However, I did pick one or two up from charity shops at a young age and fell in love with the garish artwork and gaudy designs, though even then the stories didn’t seem…quite right. As I got older I discovered the reputation these books had, essentially as the nadir of classic who merchandise (a particular article from Eccleston’s era in DWM springs to mind). Of course, I have to agree. Bar a few exceptions the majority of the Annual stories are… dire and badly misrepresent both the Doctor and his companions. Now it’s been a few years since I’ve had one of the original copies in my hands and so this new release seemed like a chance to give some of these stories a second chance. Read by original cast members there are six stories in total, along with two vintage essays. The first story The Sons of Grekk, whilst hardly a classic in any sense, isn’t exactly a bad listen. Simple like all of the annual stories, it does manage a vaguely atmospheric opening, helped massively by Peter Purvis narration and an eerie sound design. Unfortunately, things quickly go downhill with The King of Golden Death. The second Doctor continuously refers to his companions as ‘my children’ is woefully patronising and the story incredibly dull, simply being an exercise in basic Egyptology. Things pick up massively with Dark Intruders, read wonderfully by Geoffrey Beevers…giving you a rough idea of who the villain in this particular tale. Featuring the Brigadier and Joe, this tale perfectly captures the UNIT era. Conundrum follows next and being a tale of warped physics within the Tardis, feels like the writers were at least trying to emulate the feel of season 18, with its themes of high science and mathematics. Unfortunately, it’s also the tale that suffers the most due to the lack of artwork and doesn’t really bring anything new to the table, it’s fun but that’s all. The Penalty is a pretty standard ‘Doctors nightmare’ story, where he’s haunted by old friends and adversaries whilst The Real Hereward is a fun historical. Ultimately though, neither are essential listens. For those wanting a nostalgia trip, then there may be something here for you to enjoy. Ultimately, however, the audio annual, whilst an admirable attempt to bring new life to the world distributors annuals, the stories were never really that good to begin with. All of the actors do a fine job and the sound design as always is superb, but their building on less than solid foundations. It feels perhaps that the joy of those particular items relies mostly on the aspect that there wasn’t really much merchandise available at the time, along with the zany and trippy artwork. Stripped of their illustrations and placed in a world where we’re over-saturated with high-quality Doctor Who Merchandise (most of all audio adventures) these stories are exposed as being…well…a little naff. However, they do remind us that, as who-fans in a world where we have access to a constant stream of top quality merchandise, we’ve never had it so good.